Red Box Tools have been working with Versilia Supply Service, a worldwide mega yacht supplier, to create a custom RBI9200C cabinet and laser etching on 3 RBI9650 tool kits. 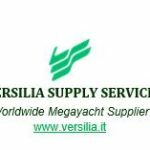 As a supplier to the Marine industry Versilia have high standards that need to be upheld in order to provide the best quality products and services to their clients. These particular tool kits are going to be used on a Mega Yacht in the Middle East. The order included an RBI9200C tool cabinet. This was then customised slightly to include some other tools that were needed. At Red Box if you see a pre-designed tool kit that suits your needs, but there are a few tweaks that need to be made then we can do this for you! It doesn’t matter if you want to substitute a few tools or a whole layer of them, we can do this with no problem. Our design team can take into account your needs and create foam designs that include all tools needed in the kit. Versilia asked for each of the tool kits to be etched with a code unique to that kit. This is a great tool kit solution as it means that it reduces the amount of time spent searching for any missing tools or deciphering which tool goes into which kit. Our Toolgraving™ service is available throughout the UK and we can also ship worldwide to customers overseas. 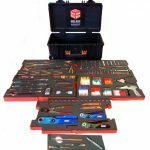 Tool Control is where we specialise and we are passionate about helping our clients to create a perfectly organised tool kit. We enjoyed working with Versilia on this project and hope that they find their new tool kits useful.